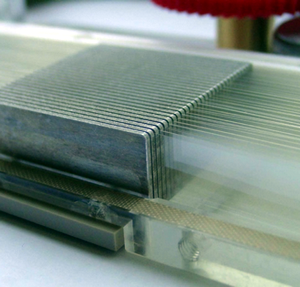 What's New In Heat Sinks? The Mercury line of AIO Liquid CPU Coolers by Antec is back this time with RGB lighting and today we’re testing the flagship 360mm model. The Cougar Vortex RGB HPB 120 PWM HDB Cooling Kit earned our Editors Choice award, and there is many reasons why this should be your next cooling kit." The Noctua NH-U12A is the 5th generation of the very popular and award-winning NH-U12 CPU Cooler released back in 2005 but is it the best one yet? "If you are after some wicked lighting customization on a RGB fan kit, then ID-Coolings ZF-12025 TRIO simply can't be missed." "It's a well-known fact that polymer's thermal conductivity is very low (a hundred times lower than metal's) and significantly limits heat transfer. Hollow fibres have a very thin wall (0.05-0.1 mm in thickness) so heat is transferred through the fibre wall effectively. Moreover, hollow fibre's small outer and inner diameter ensures superior convective heat transfer. The graphs show that convective heat transfer coefficients rise when the tube diameter decreases. Tests with hollow fibres confirmed high values of heat transfer coefficient: values up to 450 W/m2K were observed for liquid-to-gas and up to 2100 W/m2K for liquid-to-liquid applications, respectively." "Researchers at South Ural State University have patented a heat exchange device with elements developed using polymeric hollow fibers. Polymer fibers exhibit a branched surface for heat exchange. Put differently, it is a bundle of several hundred small plastic pipes through which water flows. Different polymers — such as polycarbonate, polypropylene, polyamide, and so on, are used for making the fibers. The material, length, diameter, and the number of fibers can be chosen based on the particular application. The hollow fiber bundles have low weight and are compact, thus considerably simplifying installation and maintenance. Moreover, the heat transfer process is accelerated to a large extent." A UK engineering firm named ACPI have invented a novel new approach to heat transfer, called Foil and Slot Thermal Transfer (FASTT). "The core of ACPI's technology comprises solid foils passing slowly through a slotted thermally conductive base. Heat is absorbed as the foils pass into a conductive zone and rejected in a convective transfer zone." "The size, number and arrangement of the foils can vary according to the application... ...the foils can be polymeric, metallic, ceramic or composite. The slotted thermally conductive baseplate(s) can also be varied in number, material composition and number of fins/slots... 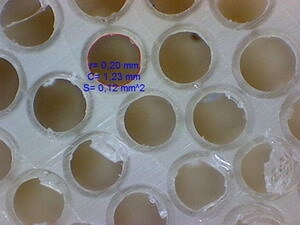 Multiple stacked foils increase the surface area over which heat transfer and dissipation to air can be achieved. The gap between the foils and the slots determines the thermal resistance from the foil and the slot." The root of the technology - heat transfer between very two very closely spaced, but not touching, plates - kind of reminds us of the underlying principle to the Sandia cooler; Though of course, the Sandia cooler is functionally quite different. ACPI have a couple images of prototypes on their small website, one resembling a typical round fan heatsink and a second very novel linear heatsink. 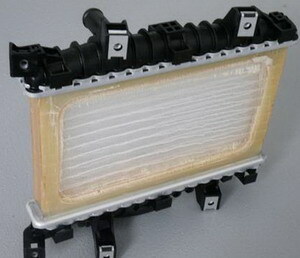 According to the company the first prototype achieved a performance of 815W. 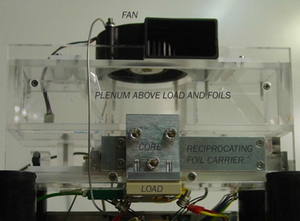 The linear form prototype, comprised of a reciprocating pack of polymeric strips, achieved 135W. "DEEPCOOL has just introduced an exciting new smart fan set featuring frameless fans with RGB lighting and a WIFI compatible controller. The Deepcool MF120 fan set includes three fans with vibration damping capabilities, and also gets a front side features a seamless all-in one skeleton frame made with 100% aluminum alloy. Its unique frameless design together with double-layer blade can generate positive air pressure and deliver maximum airflow with zero hindrance from the fan structure. The PWM fans can be active between a silent 500 rpm up-to a hefty 2200rpm. 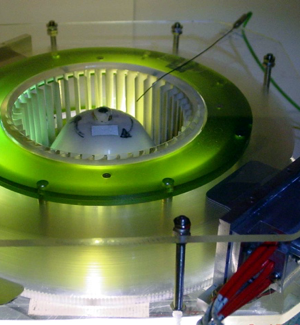 These are Fluid Dynamic Bearing fans." 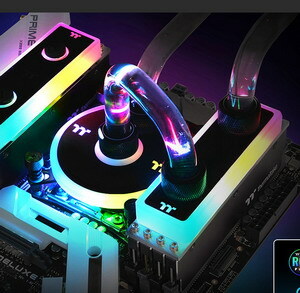 "CRYORIG announces new M.2 cooler Frostbit and RGB enhanced C7 RGB CPU Cooler. CRYORIG’s Frostbit is not only the industry first aftermarket M.2 NVMe SSD cooler with dual heatpipes, it allows full adjustment of the Secondary Heatpipe and large volume Heatsink. 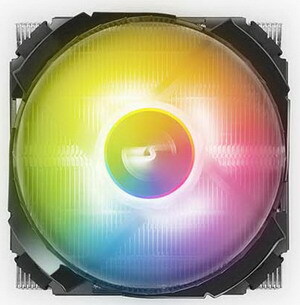 The C7 RGB is based on CRYORIG’s award winning ITX cooler C7, with a 12v RGB lighting enhanced 92 mm fan. 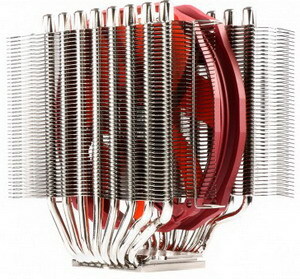 The Frostbit is the first aftermarket M.2 cooler using the heatpipe technology. It’s Dual Stacked Heatpipes work cooperatively to form a massive heat dissipation surface. The First 1 mm Ultra-Thin Heatpipe spreads heat from components into the Primary Heat Spreader. 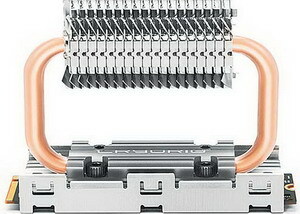 The Secondary Heatpipe is then attached to draw heat further into a large volume Heatsink. The Frostbit’s Heatsink can also be adjusted to fit different PC setups. The Secondary Heatpipe’s angle can be manually tilted to either side to avoid interference with the GPU or a large CPU coolers. Based on one of the best ITX coolers on the market, the C7 RGB adds 12v RGB lighting to an already stellar performer. With the C7 RGB being a top-flow cooler, once lit up the C7 RGB becomes the lighting center piece of any ITX build. The C7 RGB lighting system is built on standard 12v RGB LEDs integrated in its 92 mm PWM fan. Simply plug in the Fan RGB header into either a 12v RGB port on the mainboard or any 12v RGB lighting controller. It is compatible with all major 12v RGB controllers and boards." Mit der Alphacool Eisbaer Solo bietet Alphacool eine kompakte, aber leistungsstarke Grundlage für kleine Kühlkreisläufe. Die Basis für jede Wasserkühlung ist der CPU-Kühler und die Kombination aus Ausgleichsbehälter und Pumpe. All das vereint die Alphacool Eisbaer Solo in einem Produkt. "Cooler Master has provided an overview of the company’s upcoming thermal solutions including a new All-in-One (AIO) CPU cooler, three new air coolers and a new fan series. Cooler Master will expand on the MasterAir series, with three new air coolers in varying form factors. The MasterAir MA610M will feature a dual-tower heatsink with a new SF120R fan sandwiched between the two towers for ample airflow. The six copper heat pipe design and enlarged fins work in tandem to ensure maximum heat dissipation and maintain stable CPU temperatures. The Addressable RGB lighting, decorative black top plate and black coating of the MA610M provide users with customization and an aesthetic appeal for any build. Expanding upon the previously launched G100M, the new G100M v2 will feature the same top down cooling as its predecessor, but with an elongated and narrowed design to eliminate RAM clearance issues. The G100m v2 will utilize Cooler Master’s two phase heat column technology, with a seven times larger circumference compared to standard heat pipes, for a more rapid heat transfer over a smaller surface area. Mounted atop the uniquely designed G100M v2 is an ARGB fan and ring for an added visual appeal. 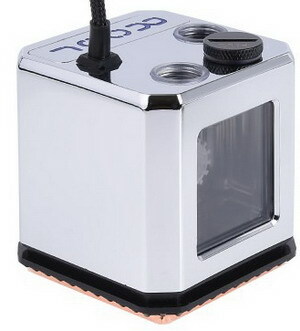 The G300P will be Cooler Master’s next small-form-factor (SFF) air cooler. With an ultra-low profile of 39.5mm, embedded heat pipes and 92mm fan, the G300P will provide users with ample thermal performance in compact form. Other proposed features of the G300P include RGB lighting. Unveiled for the first time at Computex 2018, the MasterLiquid ML240P Mirage will be Cooler Master’s new pro-level AIO cooler. Equipped with a mirror like pump cover that enables users to see into the operation of the impeller when illuminated by the ARGB lighting. When lighting is disengaged, the reflective cover displays the hexagonal Cooler Master logo. The new Cooler Master SF series of case fans are designed with a square fan frame for more direct airflow and pressure. The new square shape of the SF series provides more surface coverage on AIOs and air coolers. The SF120R will be available in both RGB and ARGB models. The newly designed SF120P and 240P ARGB fans will be designed with milk-white fan blades and external rim for a brighter reflection of light; with the 120 model having 24 Addressable-RGB LEDs and the 240 model having 52 Addressable-RGB LEDs. The SF240P ARGB will be designed with an aperture frame, with two fans integrated into the frame to reduce vibration and wires needed for lighting. In addition, Cooler Master will introduce its new flagship case fan the SF120M. Designed with performance in mind the SF120M utilizes Cooler Master’s Industrial Fan Structure, which decreases the flex of the fan blades while ensuring a quiet operation with maximum airflow. The Double-Ball Bearing decreases friction between the fan and its bearings which further enhances performance. In addition, Cooler Master will release the Hyper 212 RGB and MasterLiquid ML240R RGB Phantom Gaming Editions, in collaboration with ASRock. Both coolers will sport the signature aesthetics of the Phantom Gaming series shared throughout the entire product line of ASRock graphics cards and motherboards." 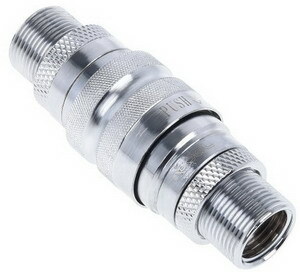 MasterAir MA610M: May 2019 for a starting MSRP of $89.99. MasterAir G100M v2: June 2019 for a starting MSRP of $49.99. MasterAir G300P: June 2019 for a starting MSRP of $49.99. MasterLiquid ML240P Mirage: March 2019 for a starting MSRP of $139.99. 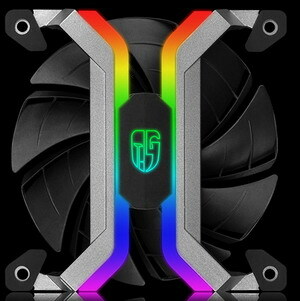 MasterFan SF120R RGB: February 2019 for a starting MSRP of $19.99. MasterFan SF120R ARGB: February 2019 for a starting MSRP of $24.99. MasterFan SF120/240P ARGB: February, 2019. Cooler Master serves us an experiment it's had simmering on the back burner for quite some time. Join us to see if we like what the company's cooked up or if we think it should throw out the recipe. You’d be excused for confusing the Deepcool Captain 240 EX with the new Captain 240 PRO, as both share the same distinct CPU block aesthetic. There is a more noticeable difference in price, though, given the Captain 240 PRO retails for £119.99, making it almost £30 dearer than current pricing of the Captain 240 EX. The Captain 240 PRO does have more features to justify the higher price, however, including the addition of addressable RGB LEDs, and interestingly an Automatic Pressure Relieving system designed to prevent leaks.